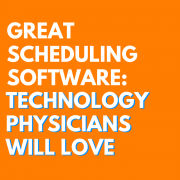 Scheduling software can offer multiple benefits to organizations, including time and labor cost savings; it’s a giant leap from scheduling on paper or with endless Excel sheets. 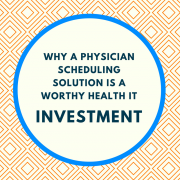 There are some key benefits that you shouldn’t compromise on when choosing your solution–they’ll make your scheduling process a lot more productive and a lot less stressful, guaranteed. This is one of the most basic steps in your scheduling process; it shouldn’t take more than 3-5 seconds for you to add or edit a shift in a schedule. These actions should also be performed in the same place, to make it even faster. Intrigma’s solution, for example, allows you to add or edit a shift by right-clicking the desired day or shift on your calendar. Considering all of the other elements involved in the process–rules, requests, etc.–you’ll want to spend as little of your valuable time as possible doing the simplest tasks. 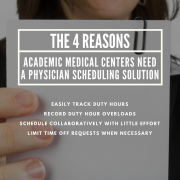 Even though physicians aren’t building their own schedules, they should have some degree of autonomy with the scheduling solution. 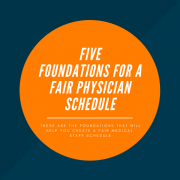 Sometimes a last-minute event comes up and a physician wants to trade shifts with a colleague. The software should make it possible for them to do this, from web or mobile, within minutes. If you’d like to grant approval before their trades and swaps are made official, the software should provide that option for you as well. 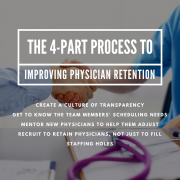 Your solution should allow you to track work distribution and percentage of quotas met for each provider, and use that information to identify staffing shortages before the schedule is published. 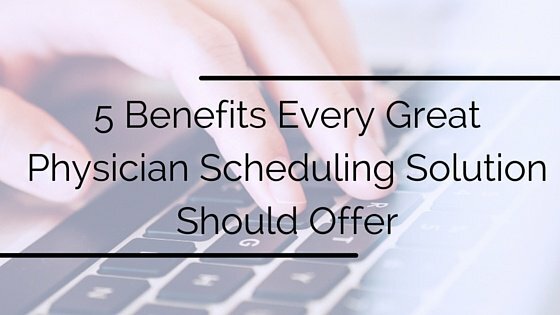 All the math is done for you, removing manual calculations from your scheduling duties. In addition, you can generate and print related reports to analyze the data if you need to. 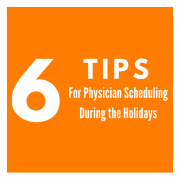 Between personal obligations and clinical duties, physicians are constantly on the go, so having a schedule that is always available on their phones and tablets is an invaluable asset. With that in mind, Intrigma has an easy-to-use native mobile app that allows physicians to view the schedule and trade or swap shifts. They can also quickly locate their colleagues’ contact information if needed in an urgent situation. 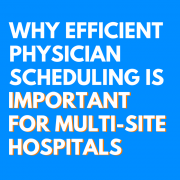 Along with mobile access, physicians will benefit from syncing across their devices, so that they’ll always have a recent copy of the schedule. 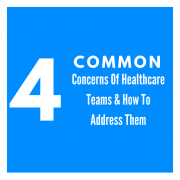 Your team should be able to sync the schedule to their preferred calendar platform and have the software automatically update the schedule everywhere once any changes are made, ideally in real-time to avoid conflicts.